Will Saraki, Dogora And Some Other Big Wigs Leave APC, As Ultimatum Of Seven Days Given By nPDP Expires Tomorrow? 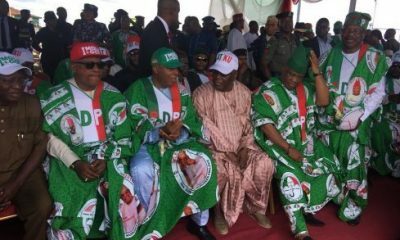 The ruling All Progressives Congress (APC) is strategizing to absorb any shock in the prediction that aggrieved members of the nPDP decide to defect, multiple sources in the ruling party said yesterday. 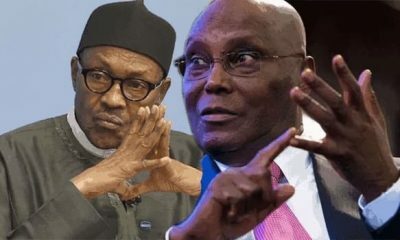 The petition, dated April 27 was signed by the National Chairman of nPDP, Alhaji Abubakar Kawu Baraje and Secretary, Chief Olagunsoye Oyinlola and copied the president, Muhammadu Buhari and some others. However, sources said the petition was a fait accompli because many of the nPDP members had perfected plans to move out of the APC to other parties. This position received more credence as a signatory to the petition, Chief Olagunsoye Oyinlola, has already resigned his appointment as board chairman of the NIMC, and also announced his decision to quit the APC. Oyinlola is already a member of former President Obasanjo’s third force coalition, which as reported by Naija News, recently announced the adoption of ADC as the platform to realize its political aspirations. The ultimatum given by the nPDP bloc, would elapse tomorrow amidst fears that in the event President Buhari did not grant them audience, the petitioners would leave the party. When contacted yesterday by Daily Trust on what the party was doing to beat the deadline given by the aggrieved members, the APC National Publicity Secretary, Malam Bolaji Abdullahi, said, “Well, I’m not aware if anything is being done at the moment. It is possible that some things have been done. But it is not what I’m aware of. I have been out of Abuja. I have been in my state participating in the congresses. 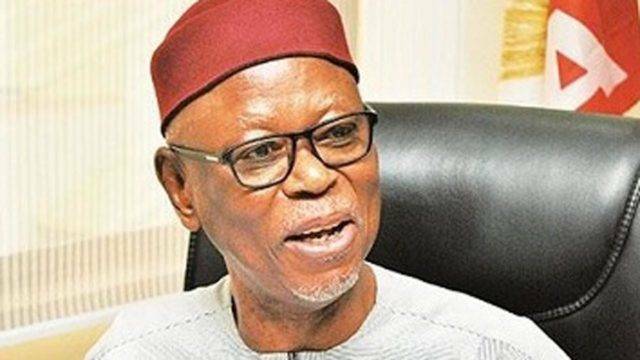 According to him, “They cannot be wished away easily because some of them are still strong in their various constituencies and they could cause grievous injuries to the APC. 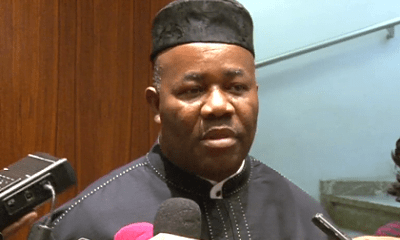 Yes, they are no longer in control of enormous resources and many are not in good terms with serving governors in their states but they should be heard to avert catastrophic outcome in the coming months,” he said. The nPDP members had alleged in their petition that despite their contributions to the success of the ruling APC, their members had been relegated to the background in in the party and in government. Another source said, “Yes, we are aware of many things, especially in the circle of nPDP members and we are ready for anything, we are ready because the APC was not meant to be the project of any group, it is the project of Nigerians. “We know that nocturnal meetings are ongoing; we know of bargains and whatever being advanced by the opposition to nPDP members and of course no serious political party would go to sleep when its members issued a threat. “But one thing that is clear is that while most of the nPDP members defected to the APC from a position of strength in 2013; the scenario has changed now; this is what you should understand. They have very little to bring to the table this time around; they are advancing their complaints from a position of weakness and honestly their departure would most likely leave the ruling party unscathed,” he said. 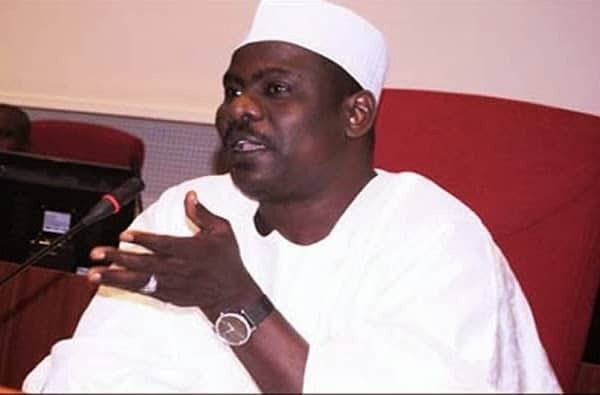 On what they would do to absorb the shock, he said, “We have serving governors all over, we have majority in the National Assembly and a lot of appointments have been made by President Buhari. “Most importantly, it is now that congresses are being made and from the looks of things, you know that the disgruntled are losing out, you can’t make any damage when you don’t control people,” he said. Another source said, “I doubt much if most of them would have the guts to move out of the APC at this material time; they just want to be heard and they would be heard but they can’t move an inch. “I want to ask you, where would they go? Do you think they would have an easy ride in PDP? There are many predators there and once they attempt to go back, it would be new fight because new landlords are there and the old ones have just recovered from years of trouble. And do you think there is another serious political party that would make any impact in the next four months before primaries? The APC did not get to where it is overnight,” he said. Naija News recalls that Senate President Bukola Saraki had earlier, when rumours were rife on his decision to dump the APC, stated that such rumours were false and that such decisions would not be carried out in secrecy. However, a source close to Saraki, while speaking on the current agitations, said friends, traditional rulers and key stakeholders in the country are pressurizing the Senate president to dump the APC. “They are worried that despite all the sacrifices he and other persons in his camp made, he is being treated with disdain in the party. And that is why they are asking him to leave the party,” the source who did not want to be named, said. But other sources said a different group of persons have also advised Saraki to maintain the status quo by remaining in the APC. “There are those who believe he should remain in the party because he can bulldoze his way and get whatever he wants as he did in 2015,” a source said. He said there is another group who are mounting pressure on Saraki to contest for the presidency. 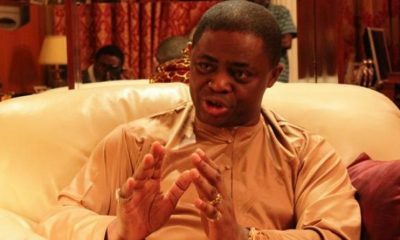 “There is a lot of pressure on him from traditional rulers and his friends to contest for the presidency. Others are saying he should contest for the Senate that he would retain his seat as Senate President, and in the event he did not get it, he would still be one of the most powerful senators,” he said. Furthermore the source disclosed that, whether Saraki and some others will move from APC will be determined at the end of the ongoing congresses of the APC. “I think the time is not ripe but in the next few weeks all these things will be clearer. 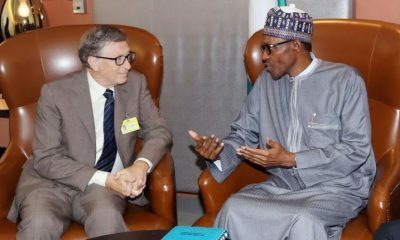 He and his people would make up their minds on their next political moves,” he said. The spokesperson of Kwankwaso, Binta Spikin said her boss would always carry along his supporters across the country before taking any decision. 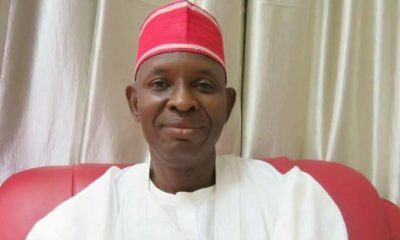 But a senator who spoke to Daily Trust, said that Kwankwaso had gone far in discussion with a political party. “What I can tell you is that he has gone very far and in fact he has given conditions to the party. He is just waiting for the party to meet the conditions, “he said. A source close to Wamakko and Tambuwal said the duo never said they would leave the APC. 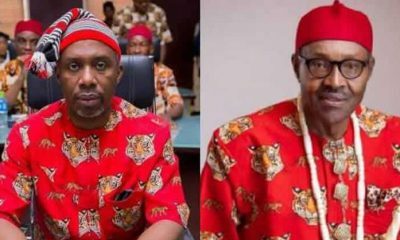 “They never said they are leaving APC; they have not given such a condition. The ultimatum given to APC and Buhari by nPDP members last week was for the situation to be remedied,” he said. The source added, “The ultimatum they gave has not expired, it is premature to think about the action they are going to take,” he said. A lawmaker close to Dogara revealed that the speaker is not, in the immediate, thinking about leaving the party. “For now, the speaker is not thinking of leaving the APC. 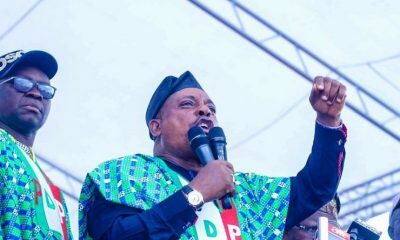 For him, if it’s to return to the House, he has no problem because whoever the governor picks as delegates from his constituency, everybody is with him. He can win to represent his constituency at any time. “So, he felt there was no need to go and slug it out with the governor during the congresses. Once the party leaders emerge, Dogara can make them come to his side since they’re all his people. “But that doesn’t mean that other parties are not inviting him to come join them. However, he hasn’t given anybody his word on that. He remains an APC member,” the lawmaker said.